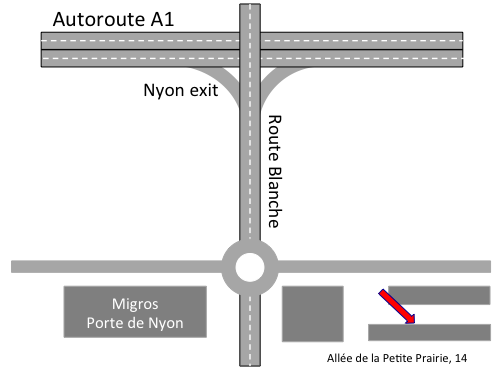 From the motorway, take the Nyon exit and descend the Route Blanche towards the centre of Nyon. When you reach the first roundabout take third exit and enter the parking in front of number 8-10, Allée de la Petite Prairie. The school is on the upper ground floor (rez supérieur) in the building right behind.